Radiant energy, one of the three primary sources of heat, travels in waves much like radio or micro waves. Radiant energy has no temperature. Once radiant energy hits an object in its path, the energy is converted to heat. The sun's rays are an example of radiant energy. Radiant barrier is a high tech concept that until recently was reserved for industrial uses as a way to control radiant energy transfer and temperature gain or loss. Foil laminated roof decking was introduced several years ago as an energy saving product installed during a new home's construction. 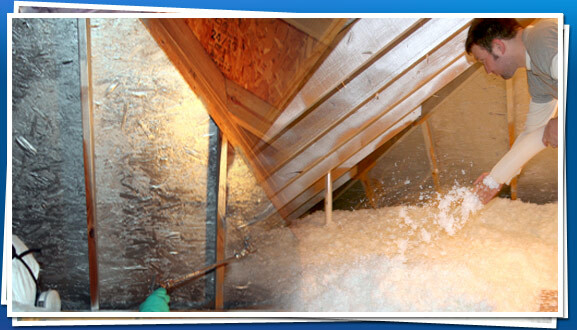 Until recently, the cost associated with installing these type of products in existing homes prohibited many homeowners from reaping the benefits of radiant barrier technology. Today, Attic Comfort offers a versatile, easy-to-apply and cost effective radiant barrier that can be applied to existing homes or during construction.